This babydoll has a figure hugging black body/skirt section of soft knitted fabric. The bust is made of sheer black mesh and the hem has a double layer ruffle frill edged with pink. More pink is used in satin bows at the centre of the bust and at the ruffle frill. 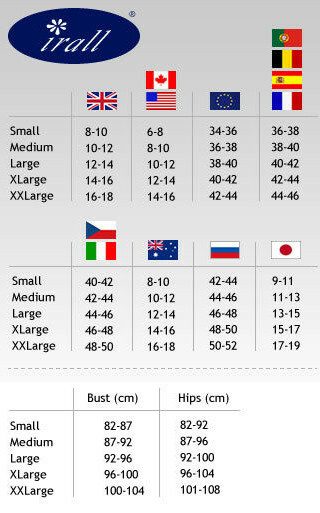 Sizes from UK8 to 16 check the measurements. Despatch: Usually ships in 1 to 2 days.